Review your HR policies, administration, employment contracts and business processes to ensure compliance with labour laws and practices. Take our HR Consultant into your HR department for a day or more, and let him or her do your "fire fighting" and put in place HR processes and procedures to empower your HR personnel tackle issues that crop up time and time again. Our HRLAW Consultant will review your HR documents to assess and ensure compliance with Singapore's labour laws and practices and advise on potential pitfalls. We assist companies to review, develop and update their handbooks and policies by examining the structure, content, language and current legal requirements. Our consultants will review the current HR practices, carry out HR functional activities and provide training. We assist in vetting employment contracts, offer letters other documents to ensure that they are in line with current practices. HR​SINGAPORE ​can assist ​eligible companies to maximize ​their ​HR Capabilities ​for the following services under the CDG Grant​. Employers can consider including outplacement skills training into their redundancy packages to help departing employees find new employment. The cost per participant can be less than a public workshop when conducted in house, depending on the number of trainees, location and degree of customisation. We want to meet you to discuss your requirements thoroughly before preparing our proposal. HRSINGAPORE offers job advertisement service to help companies in attracting and searching for qualified candidates to fill their vacant HR positions (direct hiring). 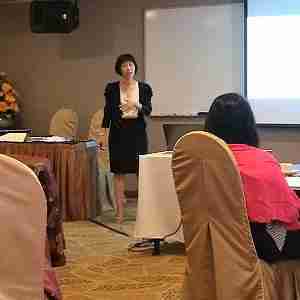 Susan Fong brings with her more than 20 years of working experience in the field of Human Resource Management and Development. Her experience spans across industries like telecommunications, market research, information technology and healthcare. She was holding managerial positions in various organisations and her last position was Senior Manager, Learning and Development, in a local large organisation. Susan conducts various programmes, ranging from personal development to leadership. She has conducted programmes on Leadership Development, Competency-Based Interview and teambuilding. She is also certified as a DISC Behavioural Consultant, NLP Practitioner and WSQ-ESS programme facilitator. A HR Practitioner with over 25 years of experience, Elsie is experienced in talent acquisition, human resource development, compensation and benefits development, payroll administration and management, talent management, employee communication and relations. She has worked in various multi-national and local SMEs and in different sectors such as manufacturing, electronics, construction, engineering and oil & gas. Her span of responsibility and experience are spent in various regional and leadership roles across different regions in ASEAN, Australia, China and the Middle East. Adrian Wong has more than 25 years of experience as a Senior Regional HR Professional with many years of experience in diverse industry especially manufacturing, food and beverage, FMCG, Supply Chain, freight and logistics, consultancy and Information, education, financial ratings and research sectors. Adrian is a certified DISC and DDI facilitator and was also a part time lecturer for an Australian University for its Bachelor and Masters programs (International Human Resource Management Modules) and a local Institute for its Human Resource Management, Training & Development and Strategic Management programs. 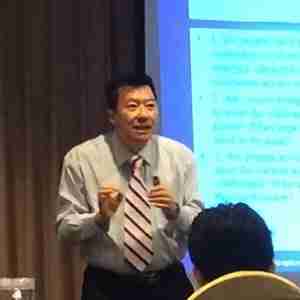 He is currently one of the trainers for HRSINGAPORE's HR Certification Courses.